Convert the 1/20 Tamiya Ferrari 310B. Fill in decals and more. For those who wish to do an easy conversion, here is one example, the Monza Grand Prix. 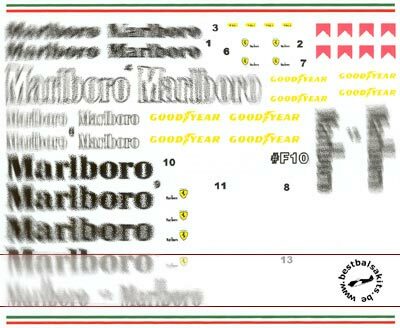 This decal also includes the decals necessary for the regular version of the Ferrari F310B.